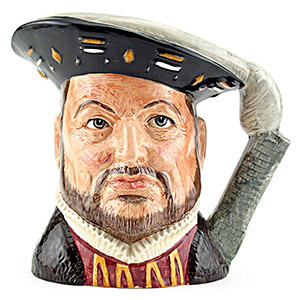 Modeled after the historical figures of King Henry VIII and his wives. These collectibles allow you collect the heads of both the tyrannical King and that of his unfortunate wives alike. Reigning King of England from April 21st 1509 until his death on January 28th 1547. King Henry VIII is more remembered for his six marriages, in particular, the methods he used to end those marriages. Glass art is usually understood to refer to large modern works of art, typically one-off creations, which are substantially or wholly made in glass. 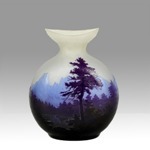 It is distinguished from “art glass” and “studio glass” which are typically smaller and often made in editions of many identical pieces, but the boundaries are not clear-cut. 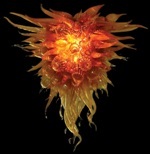 Glass art is more likely to be exhibited in public spaces rather than in homes. Depression glass is clear or colored translucent glassware that was distributed free, or at low cost, in the United States around the time of the Great Depression. The Quaker Oats Company, and other food manufacturers and distributors, put a piece of glassware in boxes of food, as an incentive to purchase. Movie theaters and businesses would hand out a piece simply for coming in the door. Most of this glassware was made in the central and mid-west United States, where access to raw materials and power made manufacturing inexpensive in the first half of the twentieth century. More than twenty manufacturers made more than 100 patterns, and entire dinner sets were made in some patterns. Common colors are clear (crystal), pink, pale blue, green, and amber. Less common colors include yellow (canary), ultra marine, jadeite (opaque pale green), delphite (opaque pale blue), cobalt blue, red (ruby & royal ruby), black, amethyst, monax, and white (milk glass).